Mired-in-last-place KTVX-Ch. 4 is once again shaking up its news anchors in an attempt to gain some traction in the local TV news wars. In the recently completed November sweeps, Ch. 4 remained a distant fourth-place in the late-news ratings. The station's new 10 p.m. anchor team features a pair of familiar faces  Brent Hunsaker, who's been working in the Salt Lake market for years; and Kylie Conway, who joined KTVX in 2010 and has anchoring the "ABC 4 News at 9 on CW30." That newscast, which has failed to find an audience, is done. It will air for the last time on Friday, Dec. 9. That will also be anchorwoman Karen Carlson's last day with the station. According to KTVX, Carlson - who's expecting her first child - is returning to Los Angeles to be a stay-at-home mom. "I will always love my ABC 4 family, but you never get a second chance to be a first-time mother," Carlson said. "I want to cherish this initial time with my baby and will always look fondly on my three years at KTVX-TV." Former anchorman Robert Maxwell's contract was not renewed by the station. • Ch. 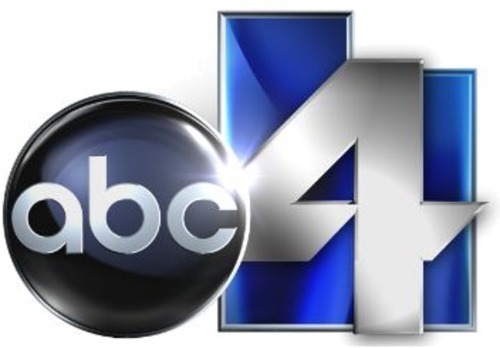 4's 4 p.m. newscast will expand from 30 minutes to an hour on Jan. 9. • Ch. 4''s 5 p.m. newcast will be anchored by Don Hudson (currently anchoring "Good Morning, Utah" on Ch. 4 and Ch. 30) and Kim Fischer, who's coming to the station from KXAS in Dallas. She starts Dec. 12. • Dan Plante will be the new anchor of "Good Morning, Utah." He comes to KTVX/KUWB from KUSI in San Diego.